Easy to navigate, very helpful to keep track of our clients. So many different search options and input options make it such a great tool!! Easy to navigate, very helpful to keep track of our clients. So many different search options and input options make it such a great tool!! Complete feature set out of the box…. Complete feature set out of the box. Easy to deploy (we did on our own) Cons: Complex synchronization for remote users. But that’s typical as it is complex! We have used Maximizer for many years and just recently moved to a different product for our ERP integration. 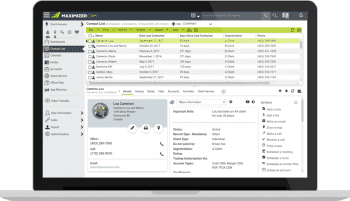 Maximizer is, however, a great CRM with out of the box very complete offering. We did have some issues with remote users synchronization but support has been great resolving those issues. Otherwise, it’s been great for us. Although pretty simple and well supported, I recommend a partner if you have data migration, remote users or other complex features, or of course if no IT staff. Cons: Complex synchronization for remote users. But that’s typical as it is complex! We have used Maximizer for many years and just recently moved to a different product for our ERP integration. Maximizer is, however, a great CRM with out of the box very complete offering. We did have some issues with remote users synchronization but support has been great resolving those issues. Otherwise, it’s been great for us. Although pretty simple and well supported, I recommend a partner if you have data migration, remote users or other complex features, or of course if no IT staff. ease of learning, ability to store documents, and ability to keep track of customer issues / set a follow up date. Loved maximizer as a CRM system. 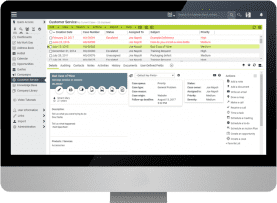 Worked in software for several years and we used Maximizer to not only keep track of our customers and leads, but to maintain a follow up system on customer issues and schedule service follow ups. Definitely a great all around software for small businesses to keep track of their customers and ensure efficient communication among the team and between customers. ease of learning, ability to store documents, and ability to keep track of customer issues / set a follow up date. Loved maximizer as a CRM system. 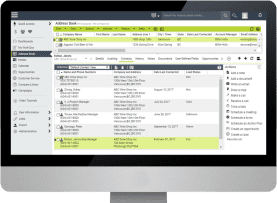 Worked in software for several years and we used Maximizer to not only keep track of our customers and leads, but to maintain a follow up system on customer issues and schedule service follow ups. Definitely a great all around software for small businesses to keep track of their customers and ensure efficient communication among the team and between customers. 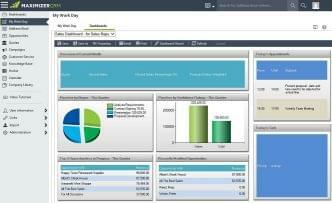 Maximizer CRM provides our company with a big picture of software. It enhances the capacity of our data and it is very functional. It is not a typical software for university management, however, it is very suitable for clients management for small-median business. You can create whatever you want for fields(information) and there are many customized bars that you could easily get access to. Clear function bar .easy to customized .superior customer services .add on functions for Word Sometimes confused with Applications and Clients .some functions are barely used . Email template is easy to get confused when saving them Override data should be able to differentiate date for each time Read instructions and watch videos, take their tutorial because it is very helpful if you have more questions, you can also call customer services people are very professional and nice! 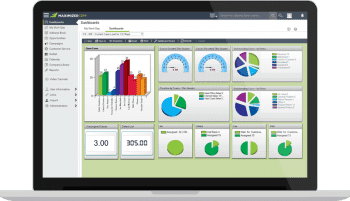 Maximizer CRM provides our company with a big picture of software. It enhances the capacity of our data and it is very functional. It is not a typical software for university management, however, it is very suitable for clients management for small-median business. You can create whatever you want for fields(information) and there are many customized bars that you could easily get access to. Sometimes confused with Applications and Clients .some functions are barely used . Read instructions and watch videos, take their tutorial because it is very helpful if you have more questions, you can also call customer services people are very professional and nice! My firm have been using Maximizer CRM for over a decade now within a small sales team of 5-6 individuals based in remote offices. It helps us to coordinate and share activities and contacts and is extremely easy to use. With great reminders and task management facilities we are able to track each and every prospect helping us to convert into valuable future business for the firm. The ability to tailor the product to our needs and customise the settings. Not fantastic when it come to reporting as very basic in this area. For a basic tailor-made system this is great value for money. My firm have been using Maximizer CRM for over a decade now within a small sales team of 5-6 individuals based in remote offices. It helps us to coordinate and share activities and contacts and is extremely easy to use. With great reminders and task management facilities we are able to track each and every prospect helping us to convert into valuable future business for the firm. The ability to tailor the product to our needs and customise the settings. Not fantastic when it come to reporting as very basic in this area. For a basic tailor-made system this is great value for money.